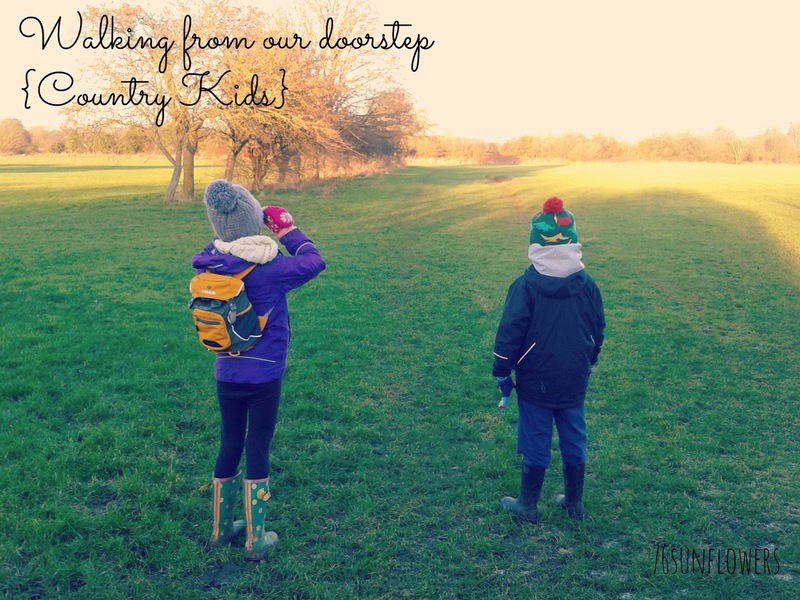 Sometimes it is just as easy to pop on your wellies, hats and coats and venture straight out from your own doorstep than pile into the car and drive somewhere new. 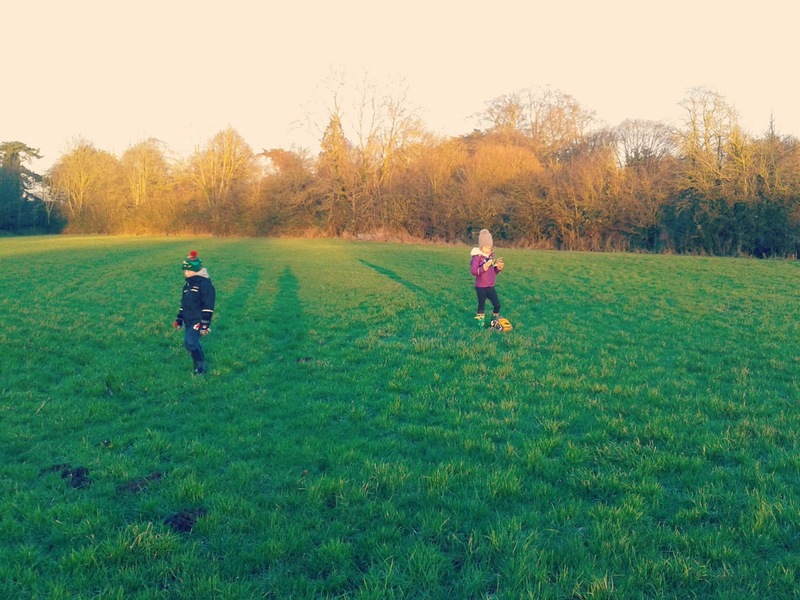 For two consecutive days in the period between Christmas and New Year the children wanted to walk to the nearby fields. At the end of the lane we have lots of green space; playing fields, farmland, small holdings, all with many footpaths to explore. Certain areas are in the pipeline to be built on. This deeply saddens me as it will destroy the rural buffer we have here and also make our lane a dangerous rat run - emails have been written, but the impact they will have I don't know. I just hope that the other green space is safe and left for children, dog walkers, everyone to enjoy. 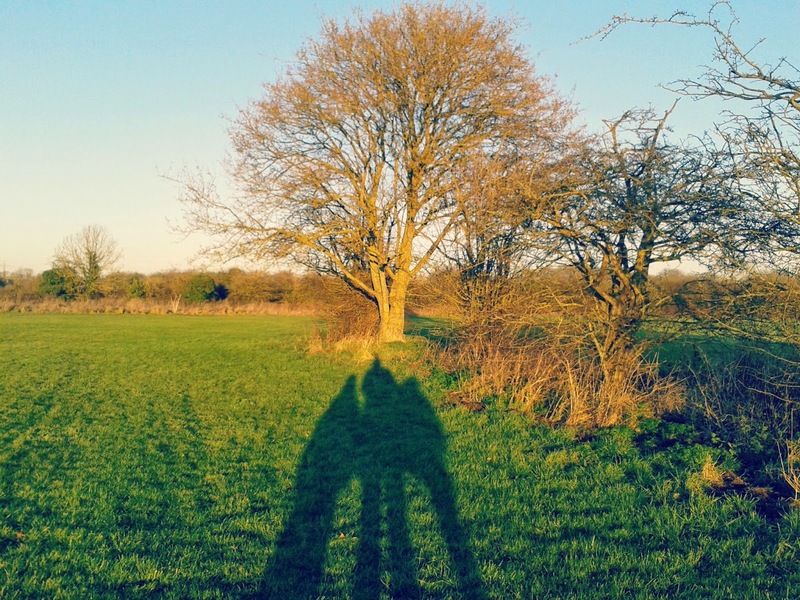 The weather was perfect - sunny and very cold. We set out mid afternoon and the sun was already starting its descent down to sunset. 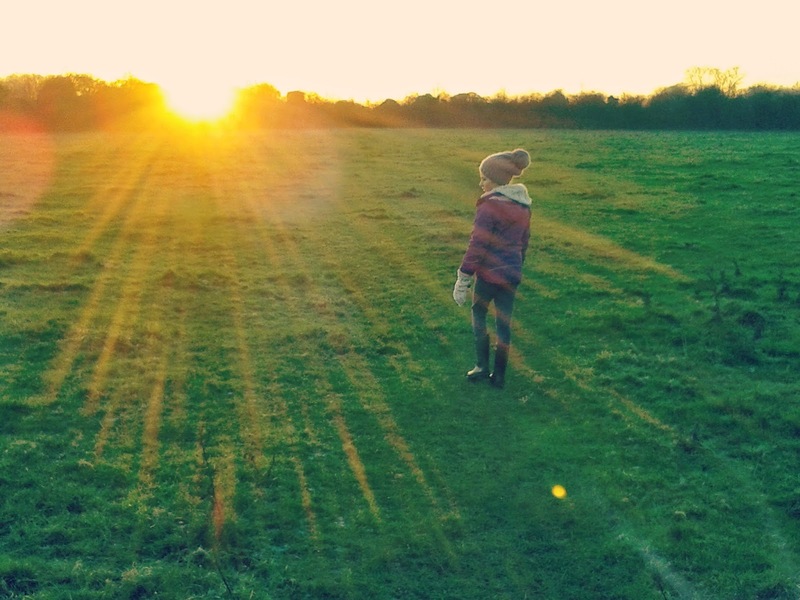 We walked hand in hand across the field - no cows to worry about this time - and found frozen puddles. The girl had her dog spotters book and ticked off a Pug and a Border Terrier. 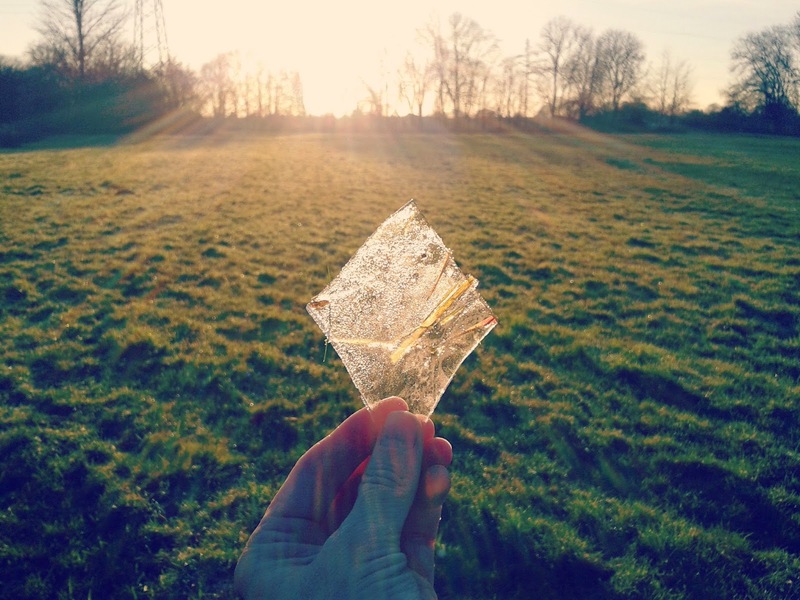 Then the sun did its thing - I just stood and watched it whilst the kiddos smashed ice. 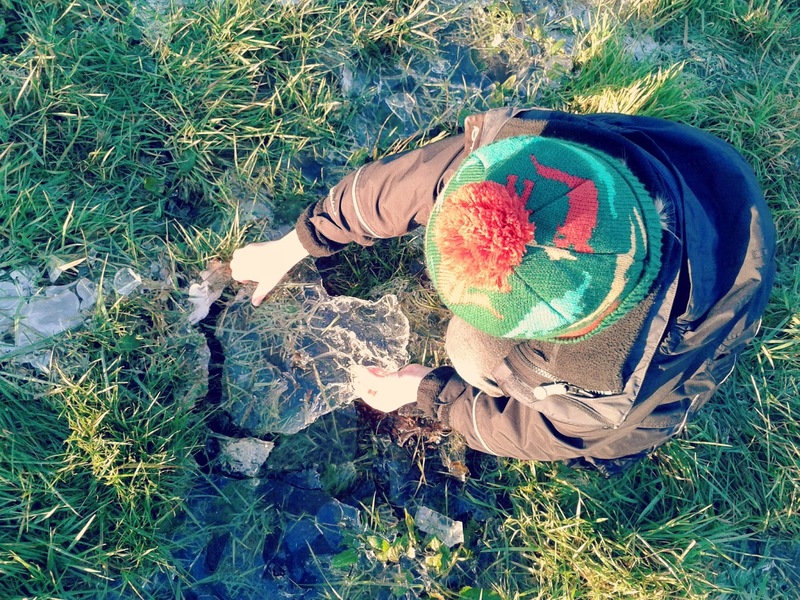 We retraced our steps as the children just wanted to smash more ice again! Luckily the weather was super cold again and the sun was shining. Huge chunks of ice were smashed out and some modern art was installed on the field floor. 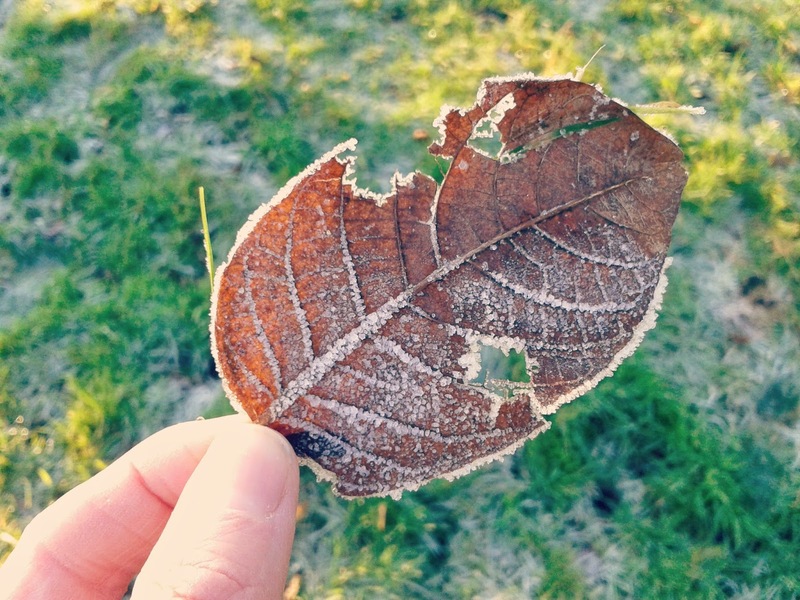 I found beautiful frosted leaves. The girl found a diamond! Then my feet got really cold - why do they never feel the cold so much?! 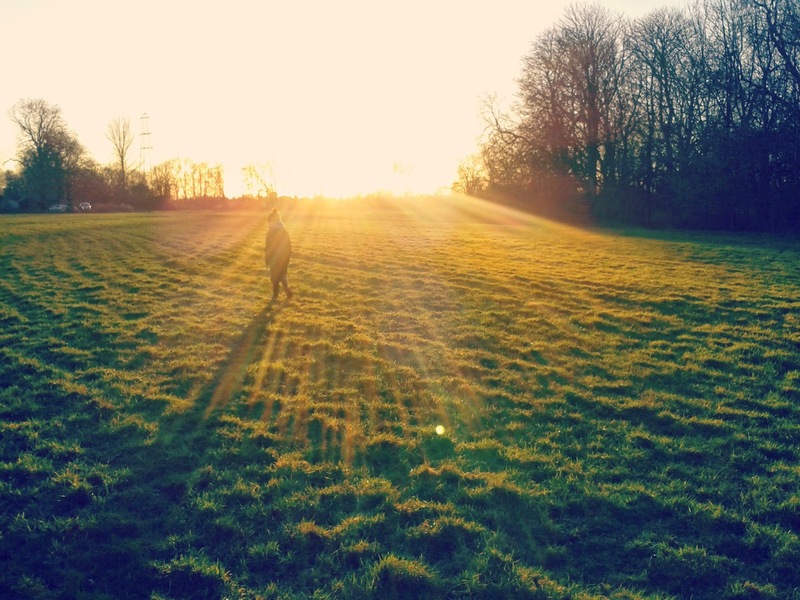 We wandered back - again watching the sun do its thing. 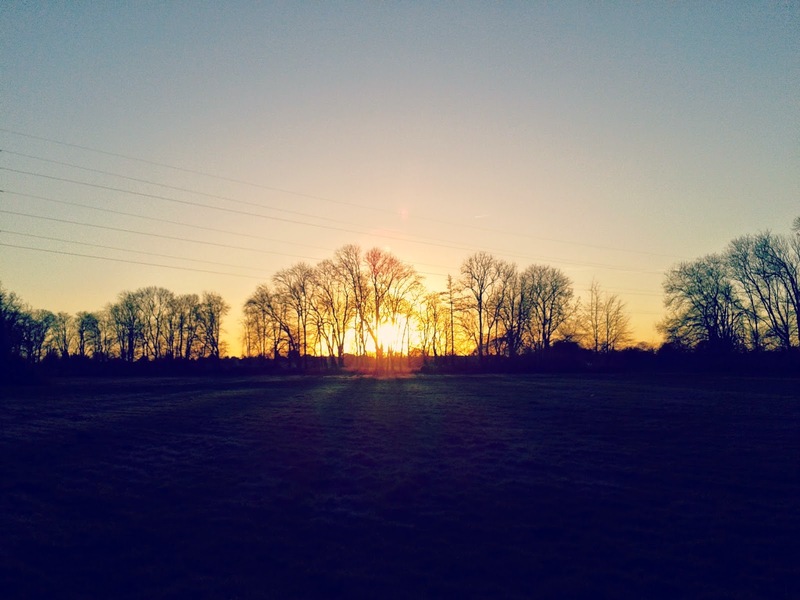 Cold sunny days have long been a favourite of mine. Lovely post and photos. Smashing the ice looks great fun! We always go walking straight from home - so much easier than getting in the car to go somewhere different. 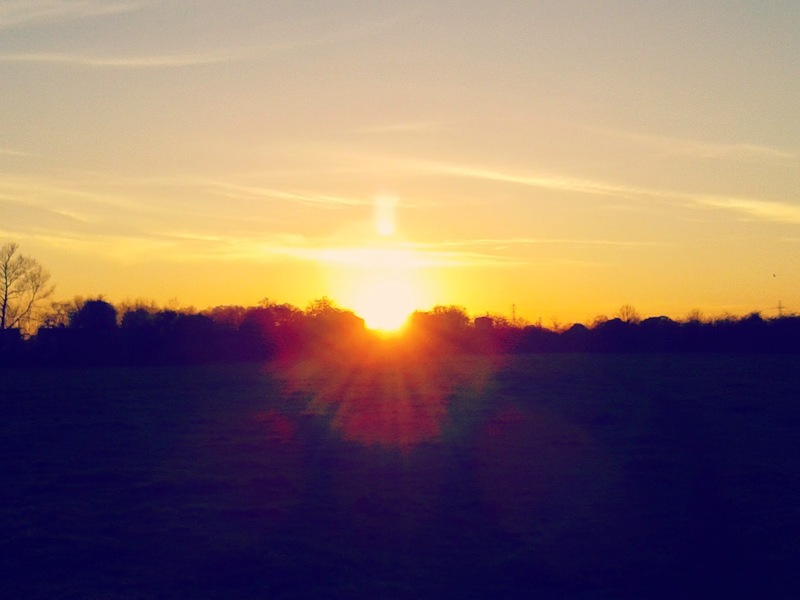 Our countryside is under threat of development too :( It will be a very sad loss. I can almost hear the crunching underfoot. Beautiful day and beautiful space. We have similar threats of development in our village. True of so many places. Enjoy it while you can. 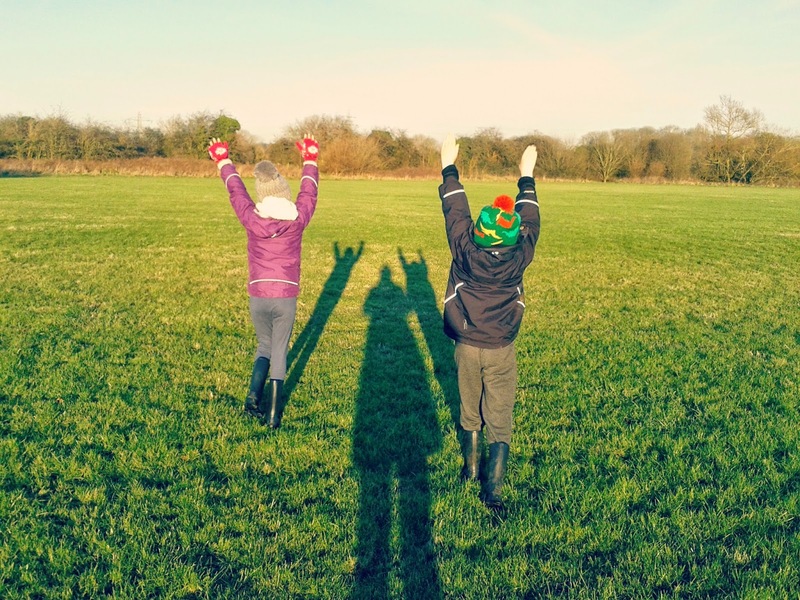 This looks like a lovely couple of days walking, it's great that your two were excited to get outside and exploring the local area even in the cold. Ice has got a draw to it for all children, my lot have been out in search of frozen puddles to smash this week. Thanks for linking up with Country Kids. Your pics are so lovely in the winter's light. Such a shame to hear they may build on your green spaces - we have similar. Not fair at all. The dog spotting book sounds just my thing!